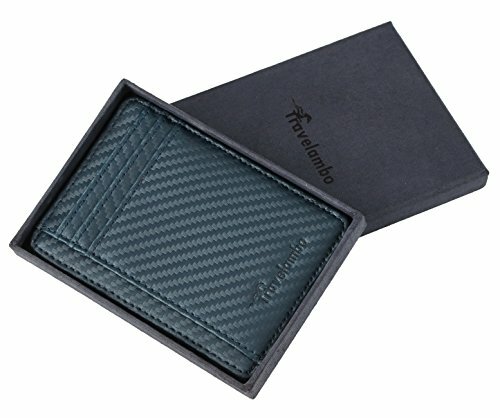 To kick off my one of many minimalist wallet reviews, why not start with a brand I’m already familiar with? 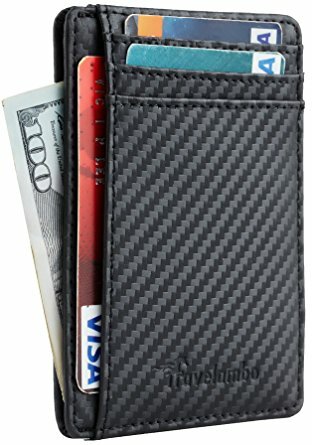 Obviously a popular choice on Amazon.com, the Travelambo Minimalist RFID Leather Slim Wallet is a good combination of quality and value. 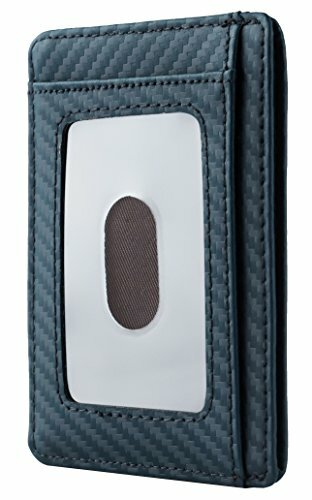 It offers exceptional RFID protection and a choice of three types of leather. Not only that, the range of colours and styles to choose from is HUGE. 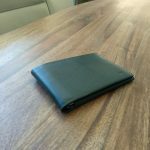 How does the Travelambo Minimalist RFID Leather Slim Wallet stack up? 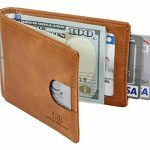 On first look, the Travelambo Minimalist RFID Leather Slim Wallet contains 3 credit card slots on one side and a clear ID sleeve on the opposite end. On the three slots side, there’s an additional vertical sleeve. Upon further inspection, there’s a hidden pocket behind the ID slot too. The stitching is sound and Travelambo are proud to tell me that most of their production process is handmade. That means that the only machine involved in the process is for sewing. I will say that they could clean up some of the flaps behind the slots for a cleaner finish. 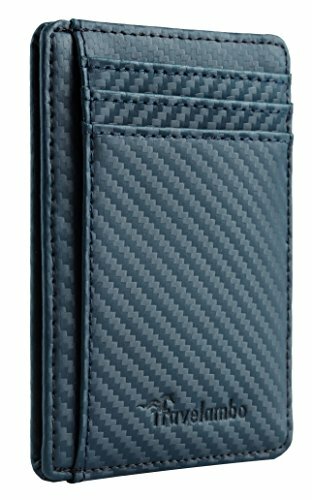 Practically speaking, the only real error in design is the front pocket of the card slots. I’ve seen this in wallets before and it’s a shame. Basically the first card slot isn’t deep enough and your card will not sit below the one behind it. Not really a problem as there are plenty of other places for cards on the other side. Another great feature and one that I’m always looking for is decent RFID protection. Like other Travelambo products, the RFID lining is excellently integrated and works well. They had the insight to leave one slot (clear sleeve) unprotected in case you need to use the RFID. The Travelambo Minimalist RFID Leather Slim Wallet also comes with a 1 year warranty that only includes shipping and production defects. Minimal, simple and no-nonsense, the designs are split into three leather types. Napa, Crosshatched and Vegetable tanned. 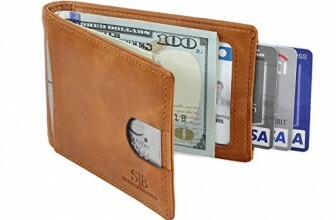 The latter being of a similar finish to the bellroy range of wallets. The finish of the leather is going to determine the feel. It’s a nice choice really because it gives you an option to choose your style. More modern, go for the crosshatch, more classic, go for the vegetable tanned or Napa. 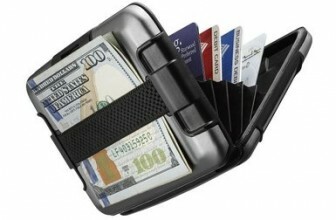 Although the wallet feels sturdy, it is a bit tight at first and perhaps will take some use before it loosens up. 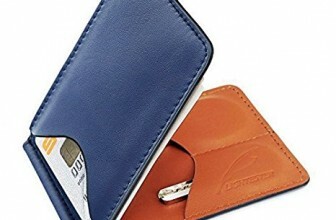 One of the great aspects of this wallet is the huge range of styles to choose from. 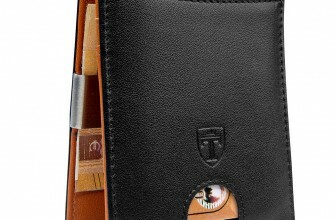 Travelambo claim the wallet is unisex. 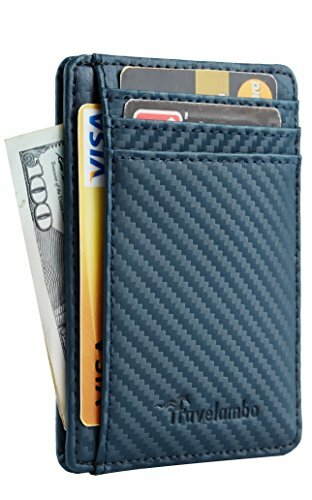 While I wouldn’t disagree, it’s certainly closer to a men’s wallet in my opinion. 3 cards in the front, 1 ID in the back. 10 notes folded in the currency slot. This is a comfortable capacity for me. Any more and you start to expand the natural thickness of the wallet. At a stretch, you could fit 10 cards in by doubling up but this does significantly stress the wallet and your pocket. It’s a really great size for your hand and will fit comfortably in back or front pockets. Lastly it comes in a pretty nice little gift box and bag. Great if you want to gift it. 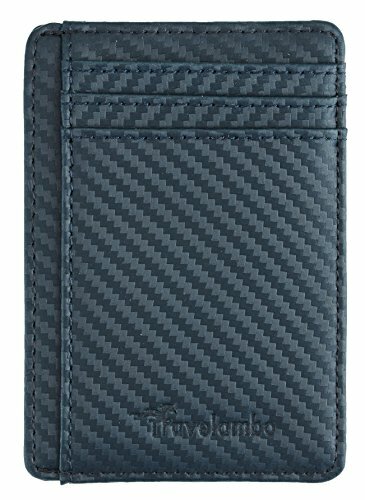 This is by no means a super slim minimalist wallet. It certainly does the job well though, especially considering it’s RFID shielding properties. Travelambo do a lot of things right with their products. This is an example of decent quality, almost perfect design and plenty of capacity at a cheap price. The huge range and extra care taken in manufacturing are a huge plus for me, as is the RFID. 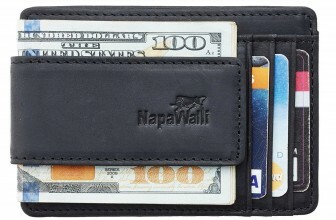 A great transition wallet from traditional to minimalist.